Have you guys used virtual DJ and if so what do you like about it? What are your favorite features? What type of applications do you use it for? I use mine for my show, let me what you guys use it for. I used it many years ago, but I must say I haven't used it since like 2010 or 2011. The reason I don't use it is not because I don't like the software, but instead because I don't store music on my pc directly and use Spotify to do my shows instead. I have never heard of this program so I haven't used it. I am making a comment about it anyway though. Is it more of a media player or can you actually live stream directly from it as well? Cool! What is your favorite feature of Virtual DJ? my favorite feature is having 6 decks and also to be able to use it with my Numark DJ Controller nice thing it's already mapped for over 100 DJ controllers from other brands right now i'm using both the 2018 free version and my old version 6 LE that came free with the controller i have but that requires an actual Key is what i have. Software looks really cool there Aaron. 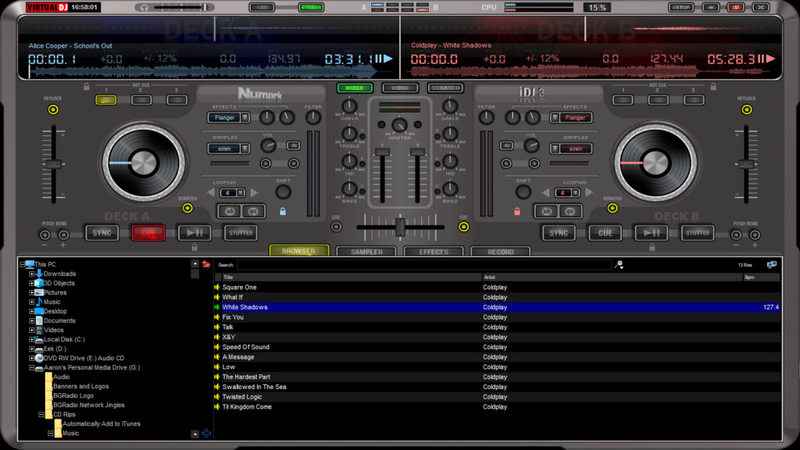 What is your favorite feature of Virtual DJ? Can Virtual DJ record stuff? Have you any idea how much the pro version costs? Just out curiosity. i think the last time i checked somewhere around $200 Dollars i think but i wouldn't pay for it since i already have an LE version for windows that uses a serial Key for activation.